Scottish sociologist Callum Brown, in his book The Death of Christian Britain, argues that the church was doing rather well until the 1960s, and it was only then that it began to fall apart. Why? Because the women, who were the gatekeepers of the church and who “brought men in,” were influenced by materialism, the sexual revolution, and changing roles in society. Men then began to abandon Christianity as the “crutch” for women. It is an interesting theory, not without its flaws, but where it does resonate is in the simple fact that a church with very few men is a church that will not long survive. Perhaps the renewal of Christianity in the West will come through a renewal of Christianity among men. But why would men come to church? Why would men come to Christ? Despite the mass gender confusion that I would term the “Calvin Kleinization” of our culture, I would like to suggest that the real, robust message of the other Calvin, the message and practice of biblical Christianity, is inherently attractive to men and provides what we all need. It is a sad fact that the teaching that in Christ “there is no male and female” (Gal. 3:28) has too often been retranslated to mean that “there is no male.” We have been neutered. No wonder men stay away. The answer is not to paint ourselves in blue wode (a blue dye) and run through the woods yelling in search of our inner warrior. The answer is simply to be men of Christ and men of His Word, just as women are to be women of Christ and women of His Word. Indeed, just as the women need the sisterhood, so the men need the brotherhood — the band of brothers. Take a look at Jesus and His disciples. Take a look, for example, at John 21. Let’s notice some basic principles about being a Christ-centered “band of brothers.” It was after the cross and the resurrection — amazing, stunning events. What were the disciples doing? They were hanging out together by the Sea of Tiberias. Seven of them. Bored. So Simon Peter announced that he was going fishing, and his friends quickly declared, “We’ll go with you.” They went out in the boat all night and caught nothing. (But it was not a competition, and I’ll bet they had a good time and enjoyed being together.) Principle number one: Men like being together and doing things together. I was a minister in the small Highland village of Brora in Sutherland, Scotland. The village had a large church building. One day, a “brickie” (a man who did stonework on houses) turned up at the church and was amazingly converted — sweat pouring down his brow as he wrestled with the Lord. As a result, he came to the church one Saturday morning with some hand tools, a couple of drills, and some mortar. “Let’s remortar the church,” he said. We started off that morning with a couple of men, two ladders, and some basic tools. We ended the day with a compressor, a cement mixer, enough scaffolding to reach the roof (donated by a local contractor), and twenty men — about half from the church, the rest local men who stopped to chat and volunteered to join in. Every Saturday for several weeks we did the same thing. We laughed, chatted about everything from football (the real version, in which you use your feet) to the Lord, and had great fellowship together. It was with a sense of sorrow that we finished the work. Not only had we saved the congregation a fortune, but more importantly we had worked together, bearing witness to Jesus. 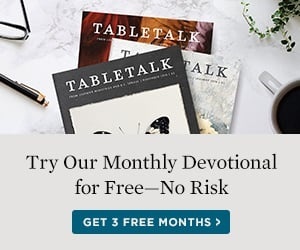 Get your men together — and it doesn’t have to be with a men’s breakfast Bible study all the time. Back to John 21. Then Jesus appeared, and though they did not recognize Him on the shoreline, they still did what He said — they let down the net and caught so many fish that these seven strong men could not get it in the boat. In an astonishing verse (v. 7), we are told that “the disciple whom Jesus loved” recognized Jesus and said to Peter: “It is the Lord.” Wait. Doesn’t Jesus love everyone equally? No. Jesus had His special friends too. Of course, He loved all His disciples, but He had a special love for John. They were all His friends, but John was His best friend. His inner circle included James and Peter also. Principle number two: It is not only OK but essential that men have “best mates.” There are people with whom you click, with whom you bond more closely than others. This is not like some kind of exclusive club; rather, it is something that enables and strengthens you and your friends so that you are in a position to better serve others. The trouble with too many of us today is that we have lots of acquaintances but very few real friends. There is for us no “band of brothers” — and it is very lonely. For twenty-five years, a day has hardly gone by when I did not phone or receive a call from my colleague and best friend, David Meredith, the minister of Smithton Free Church. I also thank God for providing me with another friend here in my city of Dundee. John is someone whose company I enjoy, and his friendship and fellowship go deeper and mean far more than I can say. And I am thankful to have other men whom I would want, and do want, in a fight with me. There is a Friend who sticks closer than a brother (Prov. 18:24). And sometimes He provides us with special friends to sustain, encourage, enjoy, and bear our burdens. Finally, my fourth principle: Men like challenges. After their meal, Jesus spoke to Peter and gently but firmly challenged him as to his failures, predicted his horrendous death, and called him to sacrifice and service. The challenge was not just to Peter — it is a collective one. The call to follow Christ is not just a call to a quiet life of inner private devotion. It is a call to radical and costly service. It is a call to real manhood. The basic principle of our Christian “band of brothers” is that we really would die for one another. We are able to do so only because of our Brother who has gone before us and calls us, fills us with His Spirit, and enables us to live for Him, work for Him, and die for Him — together. One for all and all for One. It is so precious and real because it was bought with the greatest price of all. That is the beauty of Christian brotherhood.